In my career, I have spent time working on the development of new academic programs in New York, Florida and North Carolina. Regardless of the location, the ingredients for success have remained consistent: have a clear goal, do strategic planning, be as prepared as you possibly can be, be honest, and don’t be afraid to look at how the kitchen (Programs) is set up. The goal of a new program usually is to provide a solution to a need in the community by providing educated and responsible graduates to fill it. Here are my thoughts, as well as the thoughts of some of my colleagues – individuals who are deeply embedded in the needs of students, program administration and curriculum planning. Please keep in mind that this is from my perspective, starting a new program may be VERY different to do at private schools or in another state. For those examples, it might be useful to refer to some of the SACSCOC documentation that is available for starting a new program. There are not many corners one can cut in building an academic program, since we are dealing with institutions that are regional accredited. The two pieces that must be at the forefront of creating a successful academic program are that you absolutely must have the support of a dedicated faculty, and a community of engaged students to make the program more than the sum of its parts. Many times the success of a program comes from the “It Takes a Village” approach in building something truly special. Take the time to review and revise ALL academic programs. (Check the cupboards) make sure you have all the spices and seasonings you need are in the kitchen. What sometimes happens is you forget you have oregano and buy more of it and then have too much. Same with programs. Make sure the alignment, rationale and curriculum matches up and isn’t crossed with other programs. Try to find the commonalities and keep them rooted in an educated foundational set of principles. With this base in mind, embed and stack potential credentials for a program and sequence courses that align with a program or division. (An example would be an IT certificate within an IT program, not say public works) Align these offerings with employer needs by creating local advisory committees and reviewing workforce studies. Include state leadership if possible. Start often and early. If there is a way to work an academic programs base into a dual enrollment program such as Career and College Promise Programs or certificates within a pathway opportunity do so. At Rowan-Cabarrus Community College, eleven programs have been built, reviewed and altered within the 2015-2018 academic calendar builds just in dual enrollment. Lastly, work toward areas of opportunity such as transfer agreements, which can create, aligned approaches in course offerings. Doing a full review and revision of all academic programs will allow for streamlining of not only curriculums but courses within programs as well. Statewide transfer agreements are possible. The elimination of outdated programs can occur. With the economic stressors that can arise from paying for an education, program reviews allow for revisions that can reduce the amount of credit hours and eliminate underutilized, unnecessary, and outdated courses. The development of a clear advising guide and a consistent schedule of classes for academic programs are foundational pieces that make a significant difference when it comes to student success and administrative efficiency. A method that allows for a student, advisor, faculty member, and administration to all know what the expectations are for a programs linear progression toward completion of a credential. A successful program will have the ability to demonstrate to a student a timeline of when they can take their courses, preparing them and allowing the academic programs to know when they will be instructing those courses. Lastly, this approach can allow an advisor to assist with confidence in the planning out of a students academic course load and attempts. A quick reference guide would be O’Banion’s Five Step Model for Academic Advising. O’Banion, Terry. Academic Advising: The Key to Student Success, Community College Press (AACC), 2013. Creation of an Academic Calendar. Priority Registration becomes a possibility. A long-term Schedule can be created. Program time lines can be created. Curriculum Review Committees can be created for quality control. From an administrative perspective, standardized faculty roles and teaching loads can be established. Once success and growth are established for a program, the questions are always: How do we get it to grow? How does it get better? What does the data say? How does it get more efficient? Program Development will eventually need a focus on assessment. A successful program will need program effectiveness measures. Build an effective advising model. Defining the advising process, and the role of faculty within the process. Implement continuous improvement in programming, scheduling, enrollment management, and planning. Prepare clear, consistent, and easy to follow pathways to educational attainment. Provide a work-directed or interest specific experience for all students. 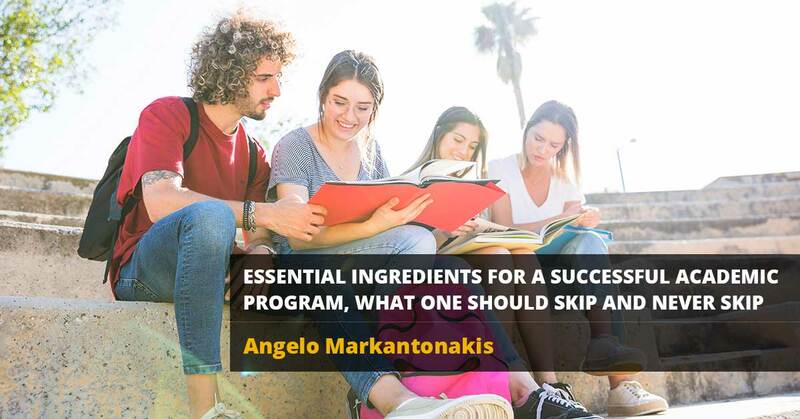 I don’t think any steps should be skipped and the program be successful. It would be devastating to end up with a program with graduates who would not find a job, or a program with no students enrolled. One cannot skip anything that relates to the specific state or accrediting bodies affiliated with an academic institution. There is a need for a formal application, notifications, a prospectus and approvals. These pieces create the proper undeviating progression to best inform and allow an academic institution to offer a program and for students to obtain an accredited award/degree. Here are sets of components you will want to consider when creating your initial mind map / idea map for the development of a new program and setting up a timeline toward completion. Is there a void in the community? Will graduates be hired within the community? If there is supporting evidence that a new program is needed, calculate the cost to determine if a new program is viable. Finalize and submit the completed application to all decision-making parties. 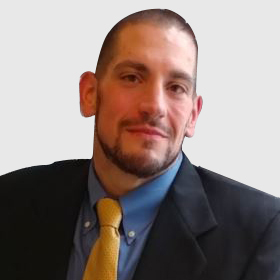 Angelo is the Associate Vice President of Academic Programs at Rowan Cabarrus Community College. He has presented at national and local conferences relative to retention, curriculum scheduling, Work Based Learning, Career and College Promise Programs, Career and Technical Education Pathways, Perkins Pathway Partnerships, Creative Marketing, Building Community Partnerships, and Early College Success.